Coastside Cabinets supplies homeowners, builders and other businesses with premium quality custom and made-to-order cabinets at an exceptional value. Choose from a wide range of styles and configurations suitable for kitchens, bathrooms, every room in the home. Call us at 650-533-4330 to get your project started. Oak Mountain Cabinets have proudly been serving the Bay Area since 1979. Our large team of contractors, builders, interior designers, and architects have over 90 years of combined experience. We are at the cutting-edge of bathroom and kitchen design. With almost 40 years of experience, Joe Henley is an experienced designer and contractor. With a passion for fine wood working, Joe has earned a reputation for his stunning and innovative designs, promoting functionality. All cabinets are built on-site in our Concord warehouse by some of the area's top craftsmen. This allows us to offer our clients a high-quality guarantee and quick turn-around and installation period. We manage the job from conception to completion. 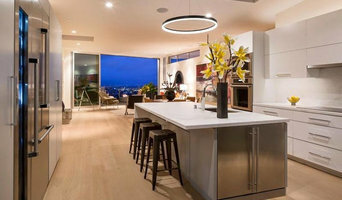 Henley's Custom Cabinets has been serving the San Francisco Bay Area since 1983. Frustrated by the lack of quality cabinets being sold by manufacturers, Henley's was built upon the desire to offer clients quality, affordability, and functionality. Frequent collaboration with industry-leading designers has Henley's Custom Cabinets up-to-date on architectural and design trends. When you work with the team at Henley's, you get the best in the business. Cabinet Masters offers custom cabinetry with unlimited door styles, wood choices, colors, finishes, and sizes to accommodate any project and style. Cabinet Masters has 35 years of experience working with licensed contractors and directly with homeowners providing not only world-class product, but also offers best-in-market service and communication. Please give us a call for a free estimate. Over 50 years in the bay area! Rex Custom Cabinets is a family owned business and is the premier source for cabinetry in the Greater San Francisco Bay Area. Our goal is to provide clients with only the best in quality and service. Our designer gives you individual service from the beginning to the end of your projects, working with you to emphasize space, form and function. Whether you are building or remodeling you get exactly what you want without compromise. Rex Custom Cabinets invites you to visit our showroom & facility to see first hand the quality of our products. We look forward to designing the cabinetry of your dreams. 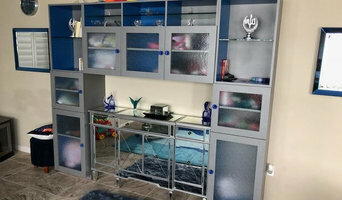 Sharp Finish Company is a cabinet painting and finishing company located in the San Francisco Bay Area. We work with local cabinet shops as well as with residential customers wanting an alternative to a standard cabinet finish. All our projects are completed using professional enamels, custom stains, clear-coats and glazes . Some of the services we provide are refurbishing cabinets and stairway and we can do most cabinet stripping, staining and painting. We specialize in painting older stained or painted cabinets and applying custom glazes. Sharp Finish Company is owned by Rob Sharp who has been painting for 28 yrs. Rob has held his CA Painting Contractor's License (CA.669812) since 1993 and finishing custom cabinets for 12 years. USA Cabinetry specializes in creating art in your home. We give our clients free design and estimate. We can get your cabinets to you in as little as 2 weeks! Quality cabinetry at contractor pricing! 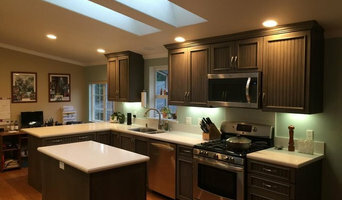 We manufacture the cabinets in the bay area and work with local contractors. Benicia Cabinetry is a family owned business serving the needs of California residents for over 25 years. Starting in 1981 David Weirich built the company from a garage operation, to its current 8,200 square foot facility that utilizes the latest in CNC equipment to transform customers dreams into reality. Even though the business has grown, our focus on the customer remains the same. The kitchen is the cornerstone of every home. At Benicia Cabinetry, we understand the importance of a well functioning and attractive kitchen. You can be assured of a perfect fit because your custom cabinets will be built by our craftsmen to the exact specifications of your home. Contact our design staff today to begin creating a kitchen that reflects your style and taste. GoodLife Kitchens have over 30 years of experience in kitchen design, planning, installation and kitchen cabinet supply. We take pride in using the experience and knowledge that comes from many years of providing kitchen design and installation services, to ensure our clients’ expectations are always met or exceeded. We are certified dealers for Kraftmaid cabinets, and operate our business through a store located in the San Francisco Bay area. We supply Kraftmaid kitchen cabinets and counter-tops throughout the 9 County San Francisco Bay area CA, and installation anywhere in San Francisco City. 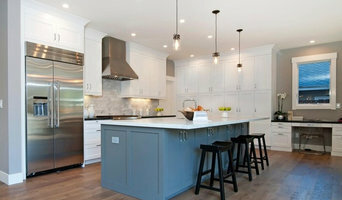 Planning and designing a kitchen can be undertaken as a DIY project, but we strongly recommend you reduce the chances of a serious design mishap by utilizing the services of an experienced designer. With our lowest price guarantee on Kraftmaid cabinets, we are sure we can provide you with a professional and cost-effective solution to your new kitchen project. Local custom cabinet maker since 1985. Custom cabinetry for the entire home or office. Interior and entry doors, fine furniture and custom millwork. Our goal is to provide the customer with the best quality cabinets at the best value. We pride ourselves on providing customers with the best-quality products and personal service. Since our company offers everything needed for a kitchen makeover, from design to installation, there is no need to go to several places to get the task of remodeling a kitchen finished. All our services are done with the utmost efficiency, quality service and speed possible to allow our customers to get the kitchen of their dreams without wasting time or money.